False. 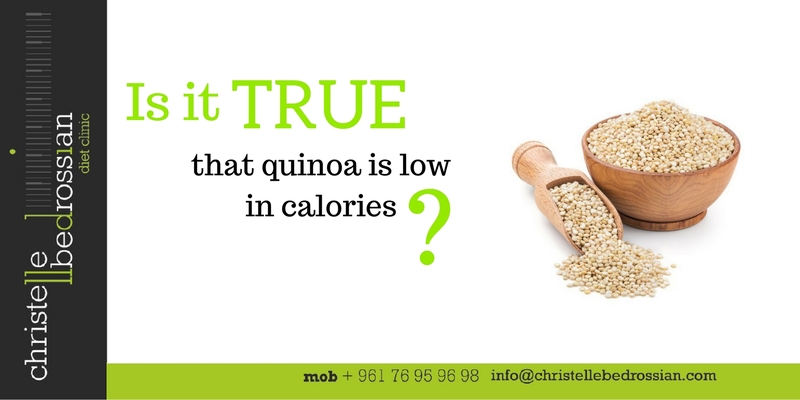 Quinoa is moderately high in calories, so it’s important to practice portion control if you want to lose weight. A cup of cooked quinoa contains 6 g proteins, 6 g fibers and 222 calories, which might be as much as 19 % of your daily calorie “budget” if you’re following a 1,200-calorie diet. (Next Entry) Is it true that eating after 8 PM leads to weight gain?